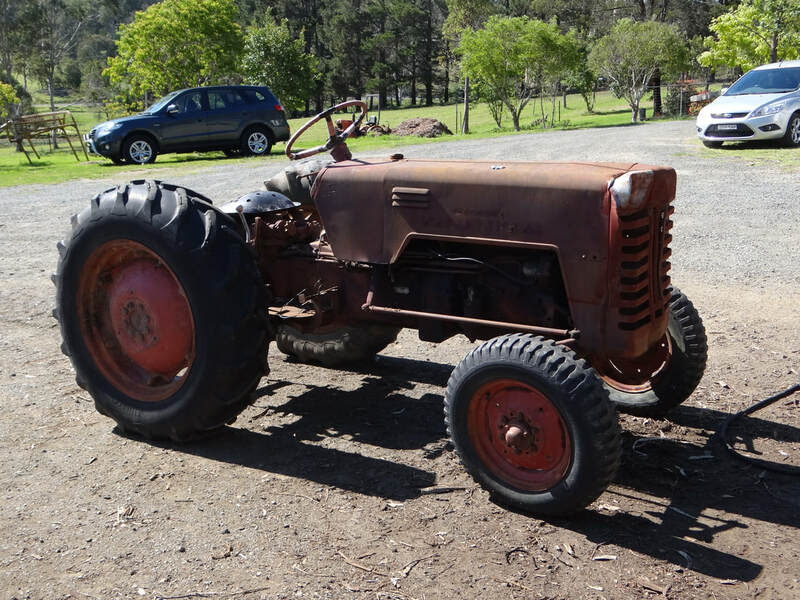 Canberra Christian School - Moruya Antique Tractor & Machinery Assoc. Inc. Recently a request came through this website from the Canberra Christian School in Mawson ACT, asking MATAMA if we could put them in touch with our Dean. 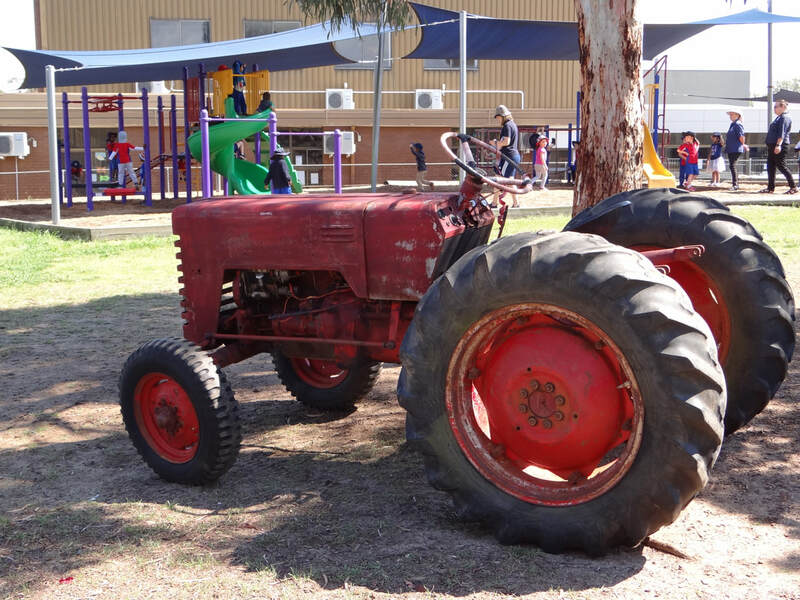 It turned out that the school was hoping that Dean could give them some advice on finding a suitable old tractor to be used in their playground as an "Art Object". 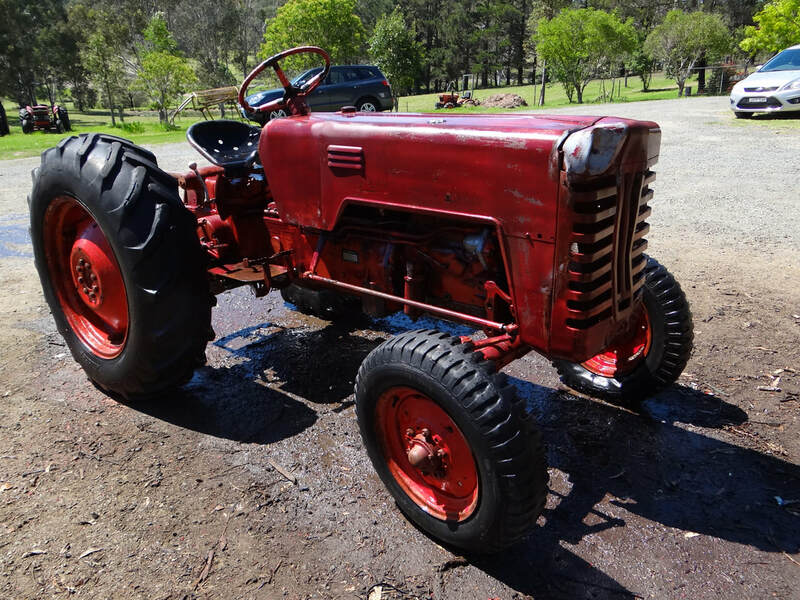 It just so happened that Dean had a couple of relics that fitted the bill perfectly, but because he was pretty busy at the time, he put the task in MATAMA's hands. So Steve and Rob volunteered and got stuck into the task. The following photos show the B250 "Art Object" being dragged out of its patch, tidied up, cleaned up, being loaded onto the truck and delivered to the school, today, 15th NOV '18. The excitement of its arrival to the playground was clearly visible as the teachers and staff were just as excited as the children. In its second life and in the years to come, this old B250 will be a canvas for budding artists to creatively express themselves. 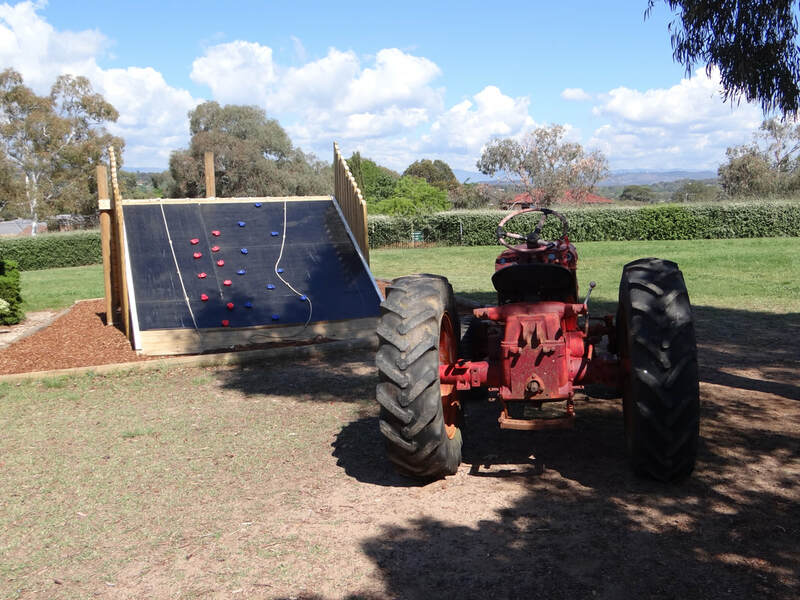 MATAMA is only too pleased to be able to help out Canberra Christian School with this project and we hope that it provides many students with much pleasure in the years ahead. We stole a seat and a dash panel from another B250, tidied up some wiring, pumped up the tyres, tightened up some screws and bolts etc etc. The excited children were kept at a safe distance as Steve unloaded the "Art Object"
Principal Bree, Bruce, Administrator Dianne and Steve, all happy with the B250 "Art Object" now in situ. 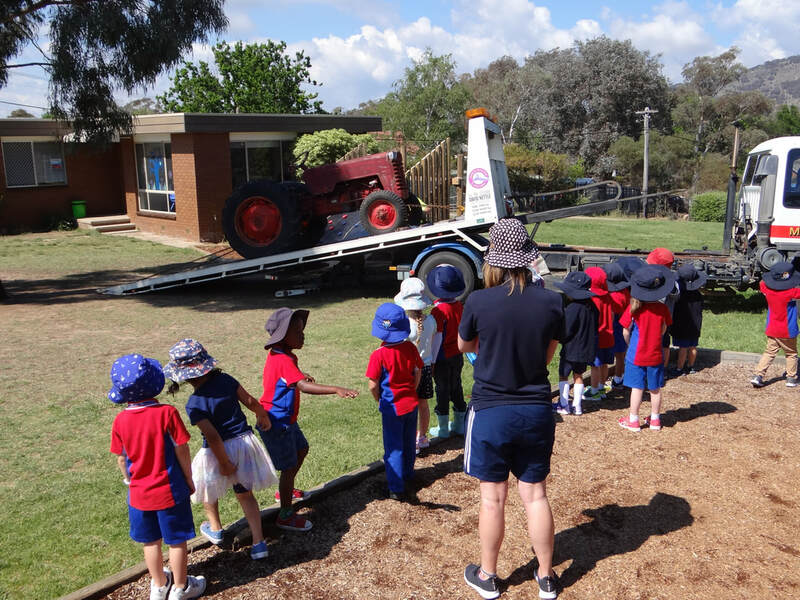 The children were just as interested in watching Steve and the tow truck operation, even after the tractor had been unloaded. Afterwards, we were Royally treated to tea, cake and some good banter.... very much appreciated. Top school, amazing staff, and fabulous children.....we really enjoyed our short visit there.